One of the most important events in the history of Watton was the opening of the Thetford to Watton railway line on 18th October 1869 by the Thetford and Watton railway Company. 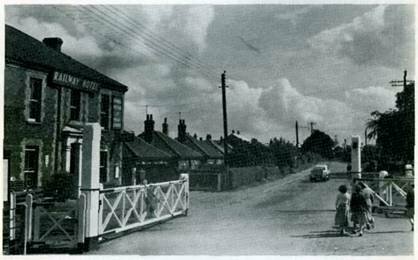 Six years later the line was extended to Swaffham, when another privately owned Company, namely the Watton & Swaffham Railway Co., opened this stretch at a cost of £ 72,000. This section of line proved much more difficult to construct as at Neaten, on the outskirts of the town, there was a very deep depression and to overcome this large quantities of soil had to be excavated to build up the banks that would eventually carry the line over this valley. The first train to run on this stretch of line was on 20th September 1875, but it was only used for carrying goods, as the safety authorities had yet to be satisfied that the new embankment was quite safe before passenger traffic was permitted. Within two months the line had been declared satisfactory and the first passenger service to Swaffham came into operation on 15th November 1875. 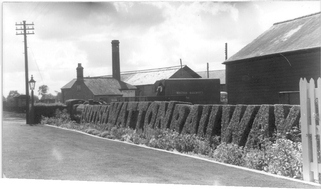 The coming of the railway to the town brought much needed employment with the building of a house for the station master, goods, passenger and ticket offices, platforms, locomotive, carriage and goods sheds, a signal box, level crossing gates and the sinking of a well to supply water for the steam engines. 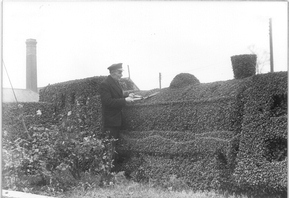 Later, with two large cattle markets being established in the town, pens had to be erected near the station where the animals could be herded whilst awaiting loading onto the goods trains every Wednesday. At the monthly sales, when many more cattle were entered in the markets, these pens were filled to capacity. Hundreds of crates of poultry, butter and eggs were also sent by train to London each week and hundreds of gallons of milk were also transported to the cities every evening. Five passenger trains each way were operated on week-days and two on Sundays and before the days of the motor car business people found the line a boon, enabling them to catch a fast train at Thetford, or Swaffham, to London and other large cities.